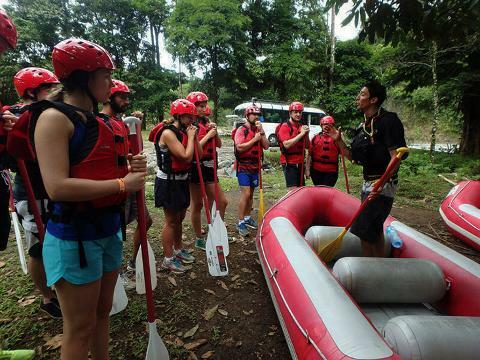 Get a double dose of adrenaline in one day with ziplining and white water rafting! Travel to the Vista Arenal Canopy, which claims to have the fastest and safest cables in the area, totaling 12 cables and 14 platforms. 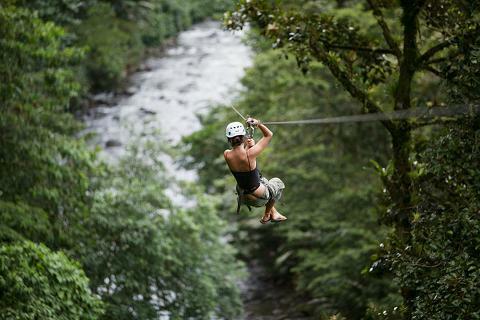 The canopy zipline cables measure from 200 meters up to 845 meters - one of the longest cables in the world! 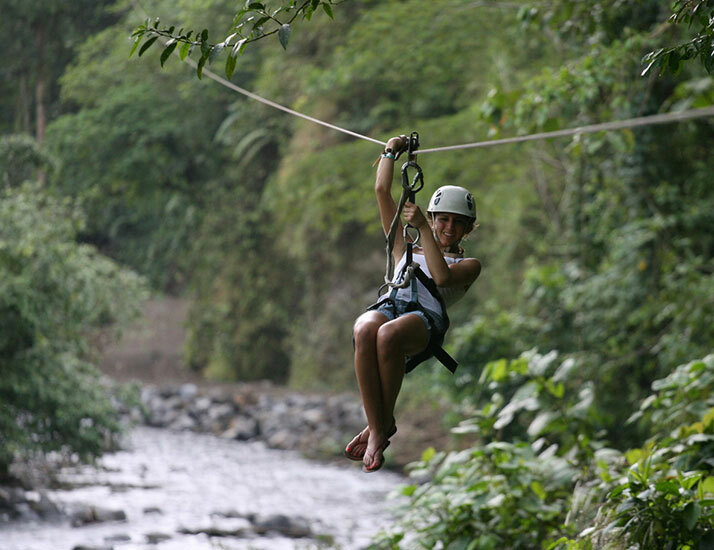 During the tour, you will find yourself high above the rainforest canopy with amazing views of the surrounding hills, mountains, rivers and the majestic Arenal Volcano forming the picturesque backdrop. 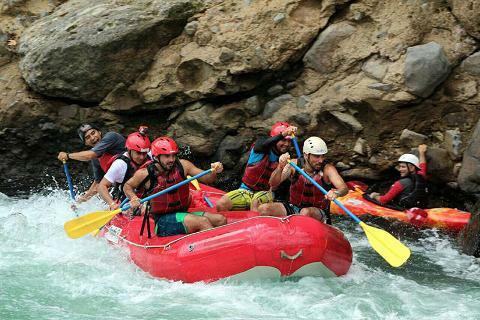 Start the second leg of your day by challenging yourself with class 2-3 rapids as you whitewater raft down the River. With names like “Morning Coffee” & “Rock around the Croc”, you are sure to have an unforgettable adventure! 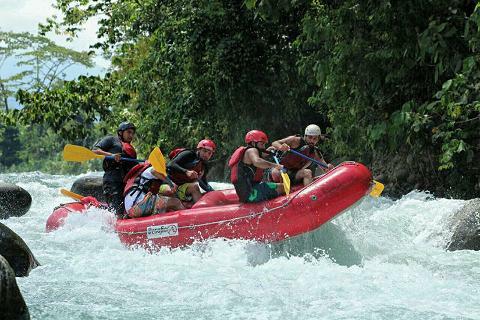 Play around in tranquil river pools, take in the breathtaking scenery, and ride the waves of the Balsa River for about 2.5 hours along 10 kilometers of lush Costa Rican rainforest. You’ll finish off this fun-filled day with a delicious traditional lunch at a charming rural location.